High strength, fast contact-type adhesive. 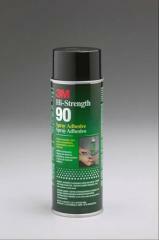 Fast contact strength buildup for many decorative laminates. Only needs one minute of drying time.